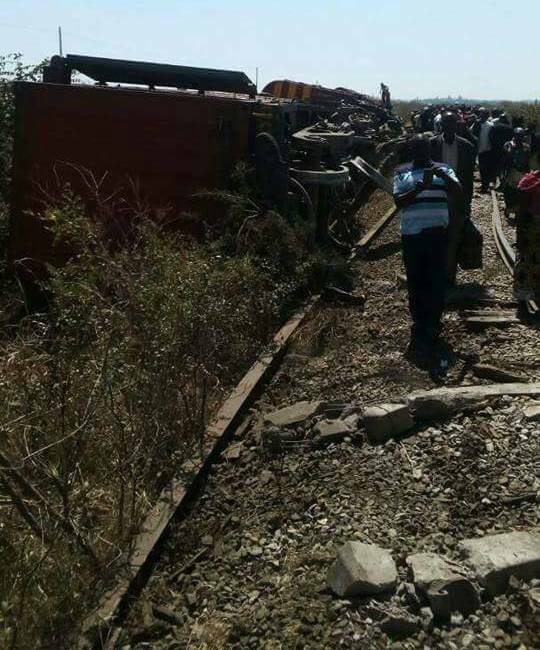 Information reaching the Zambian watchdog indicate that a Zambia Railways passenger train has derailed at Kaleya, near Mazabuka and some four coaches have caught fire though the extent of damage is not yet established. Both government and Zambia Railways management have kept a tight cap on the development but an impeccable source has disclosed to the Zambian watchdog that the train derailed due to the instability of the railway line which he attributed to poor workmanship and lack of quality control measures. In 2013 the Zambian government acquired the USD750m Eurobond, USD120m was pumped into Zambia Railways for infrastructure improvement and replenishment of some coaches but instead the government started awarding railway rehabilitation contracts to PF cadres without equipment and ended up using hoes and shovels to do the works as some competent contractors were side-lined. Further, after the demise of Michael Sata in 2014, management at the Railway company was victimised and diverted money to the funding of Edgar Lungu’s 2015 and 2016 Presidential campaigns and thereafter an unqualified person Christopher Musonda was appointed as Managing Director. There has been several pronouncements by the PF to improve the infrastructure but that has mostly been used as campaign gimmick to secure votes during elections times. Earlier in 2016 another train derailed and left over 450 passengers stranded as the railway company failed to provide alternative transport to them.